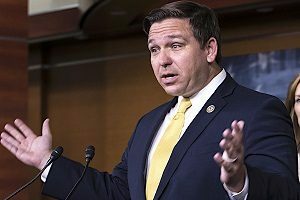 Ron DeSantis, who is running for governor of Florida, has been in the news for several reasons lately. There have been gaffes with public press conferences and financing issues for his campaign. He has also bristled at some of the questions reporters have asked him about a variety of subjects. One of the subjects DeSantis has refused to discuss is his position on gambling. He refuses to comment on the matter even after he has received a significant amount of money from gambling interests. Florida has a ballot measure that may put the brakes on future gambling in the state. So, many people feel that DeSantis’ views are important. DeSantis is a native Floridian. He attended high school in Florida before he attended Yale University and Harvard Law School. He is a military veteran and still an active reservist. DeSantis’ military service is a big deal in Florida, which is home to more than 200,000 military retirees. DeSantis became a member of the U.S. House of Representatives in 2012. He remained in Congress until he vacated his seat to run for governor. In addition to voting for governor, Floridians also have to make a decision about their gambling future. When it comes to gambling, Florida voters will be able to decide whether to allow more gambling. They will vote on Amendment 3. This amendment says if the state wants to develop more gambling entities, it must have voter approval to do it. It’s in answer to members of the public, as well as Disney and the Seminole Tribe, who are against gaming. They have said the only reason there’s so much gambling in the state is because the legislature can approve more casinos. Disney has historically opposed casinos because of its family-friendly business. The Seminole Tribe, which owns Hard Rock Entertainment, has opposed additional gaming in the state because it is competition. Right now, the polls on Amendment 3 show voters evenly split on whether to approve it. DeSantis has received close to a million dollars from horse track and dog track owners, as well as casino owners. One of his largest contributors is Sheldon Adelson, who owns the Las Vegas Sands corporation. The Sands owns six casinos in Macau, as well as two casinos on the Vegas Strip. It also owns a casino in Pennsylvania and one in Singapore. Adelson has been actively campaigning for a casino in Florida. He serves on DeSantis’ campaign finance committee. Several of DeSantis’ closest allies represent gaming operators and people who don’t want to see Internet gaming in Florida. Interestingly, even though DeSantis has received gambling money from several gaming entities, he refuses to discuss his views on gaming. His refusal to discuss gaming at all has led to political advertisements about his gambling views. Some gambling ads have stated DeSantis is in bed with gambling interests that want to take over the state. On the other hand, there are ads stating DeSantis is business-friendly – no matter what kind of business it is. 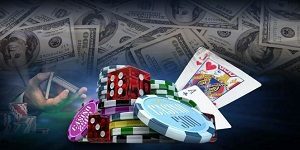 Many people have questioned where DeSantis’ views lie, considering gambling is on the ballot this year. His refusal to discuss gambling has become a contentious issue. The governor’s race is too close to call. And, DeSantis may be able to win the election without ever disclosing his viewpoint. The public will never know whether he’s in favor of Amendment 3 and putting the brakes on gambling. Or, will he choose to continue to allow gaming as part of the Florida economy?